Nature and fauna vector footage of a howling wolf. 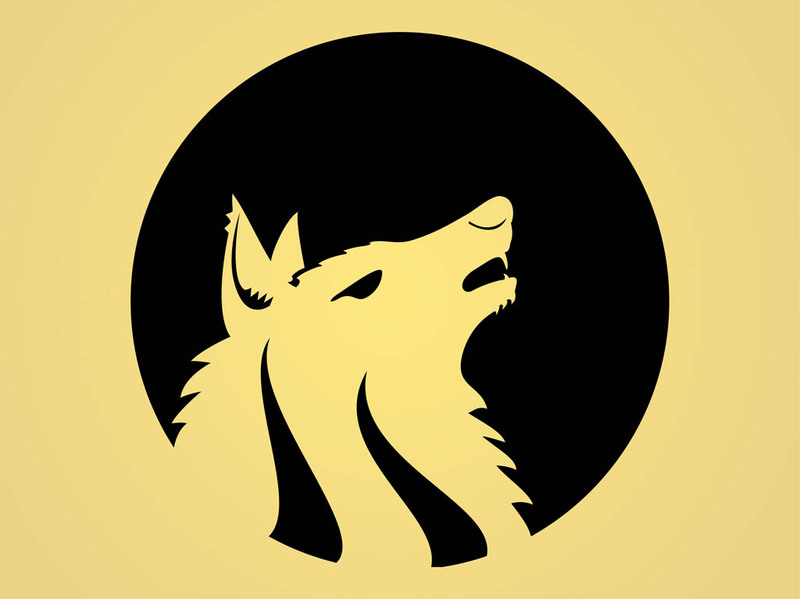 Circle icon with a stylized wolf muzzle seen from the side. Wild animal with pointy ears and long sharp teeth. Free vector graphics to create wildlife, wilderness, wild animals, wolf packs, lone wolves, predators and nature visuals. Tags: Animal, Lone Wolf, Moon, Nature, Silhouette, Wilderness, Wildlife, Wolf.